When updating your home, it’s important to consider all of the little details. While you may be focused on the furniture or new kitchen appliances, it’s vital that you take time to look at your floors and walls. Rather than hoping that these surfaces will simply fade into the background, consider choosing a unique tile design that will add an exceptional finish to your home. Here are a few ideas you might want to consider for your living space. Most people have the stairs finished off with basic carpeting or wood flooring for a monochromatic look. Now, there are more options to choose from for your living space. Did you know that you can add a pop of sophistication to runners by decorating your risers with colorful tiling? Use mosaics to add a pattern, or just choose brightly colored marble to make your stairs stand out. This design option looks particularly impressive when paired with the sleek lines of wrought iron railings. One of the top modern trends is to setting rectangular tiles in a herringbone pattern. This is a great way to make any living space visually appealing ensuring that your home looks incredible. Once you choose the right color in a rectangular shape, simply lay the long edge along the short edge to create a zig-zag effect that you’re sure to love. In addition to marble and natural stone, you can also choose ceramic tiles that have a wood-grain finish on them. This is an excellent solution for foyers and other areas you want to add visual interest without overwhelming the space. If you’re getting a new kitchen with granite counters, consider skipping the backsplash completely in favor of a tile wall. 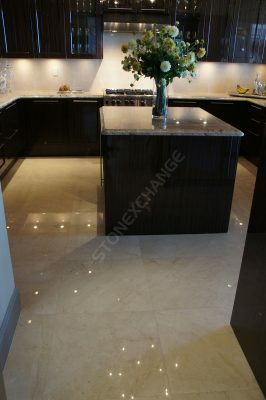 Match a number of stones with your new counters, including various shades of marble, travertine, and even coral stone. The more illusion of movement your granite has, the more it costs per square foot, but you can still add excitement to the backsplash and go with a more basic, cost-effective granite. Mosaic tiles featuring a range of colors are attractive and easy to install, and they’re available in shades ranging from green or black to ivory or gray. Give the illusion of larger countertops by going with a tile that closely matches your granite. It’s an easy way to finish off the wall, and it will give your kitchen an impressive, contemporary look. New appliances can be costly, but you can save money by going with a simple white or black finish. Rather than paying a premium to get stainless steel appliances, see how you can make the space more attractive with tile walls or luxurious marble floors. In addition to upgrading your kitchen for aesthetics, you can continue to enjoy the beautiful natural stone finish long after the appliances have been replaced. Another benefit of using tile in your kitchen is that it makes it easier to clean behind appliances than drywall or other painted surfaces. Create a stunning look while making your home easier to clean and maintain. Before you start shopping for comfortable and luxurious furniture, take the time to consider the backdrop for it. While decorative painted finishes may have been the choice over the past several decades, more people are selecting beautiful tiles to accent their walls. Imagine how a neutral tan sofa will stand out against a wall covered in Rojo Alicante. If you love brightly colored fabrics, then a backdrop of Arizona Ivory travertine may be the right choice. The right colors and finishes will make your furniture stand out more and become the true focal point in any room. Another growing trend is to use medallions, custom patterns, and borders to create a permanent, attractive, design on your floor. The ceramic or natural stone can mimic the look of an area rug, but it will never have to be vacuumed. It’s a permanent centerpiece that won’t fray, stain, or require additional care. This type of floor design accents the focal point of any new furniture grouping, and it’s sure to become a source of pride in your home for the coming years. If you’ve been dreaming of adding wood flooring to your home but don’t want to risk the wear and tear of damage that often occurs, then tile might be the right choice for your floors. With modern plank porcelain flooring, you can have the look of wood with all the benefits of stone. It’s durable, attractive, and appropriate for use in bathrooms and basements. When you’re refinishing your basement floor and want something that can handle the extra moisture, this is the perfect choice. It looks great and will possibly outlast the home! When you’re ready to update your home, look beyond the furniture and appliances. Consider background colors, flooring, and other decorative finishes. Here at Nalboor, we offer a range of natural stone, mosaic, engineered, and porcelain tiles. We want to help you create a stunning home that suits your personal style and is a source of pride for your entire family. Give us a call today or visit our online showroom to learn more about our products and place an order. Our friendly staff will help you with the process, and you’ll appreciate our wholesale pricing and prompt delivery. With the right background materials, you can take your home to a stunning new level that will impress friends and family alike. Gray wood grain look porcelain tiles from Spain. Rectified 8"x45" planks.